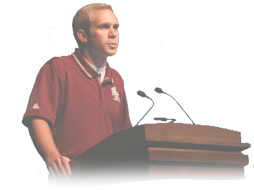 In 2002, several former students reflected on their experiences in various leadership development activities at Texas A&M. The values, skills and relationships developed during that time had materially impacted their lives following graduation. "The Texas Alliance Foundation will be the recognized leader in supporting the systems, structures and environments that promote student leadership and service at Texas A&M University - College Station"
The value of the Texas Alliance Foundation comes in our ability to combine our contributions for greater impact and target those funds directly to registered student organizations. We ask interested student organizations to apply for a grant with a business case that demonstrates service to Texas A&M and opportunities to develop leadership skills in Aggies. Many of the individuals that contribute to the Texas Alliance Foundation continue to support the Association of Former Students, Texas A&M Foundation and/or their specific college of study. However, the Texas Alliance Foundation provides a very direct and tangible channel to support the mission of the 'Other Education'.